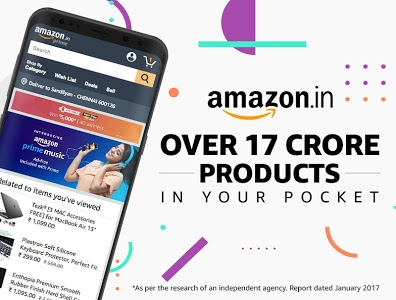 The Amazon India Shopping App brings to you, over 17 Crore original products and at great prices. 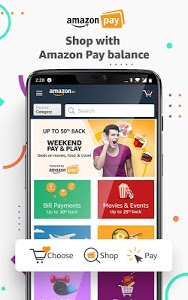 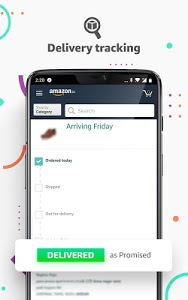 Shop on the Amazon App for the latest electronics – Redmi 5, Apple iPhone X, Samsung S8, OnePlus 6 & many more, accessories & software for your gadgets - memory cards, earphones, chargers, power banks & anti-virus. 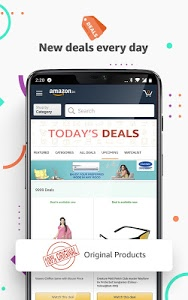 Don’t just stop there, shop for your home needs and choose from selection across TVs, refrigerators, water purifiers, washing machines, sofa sets, mattresses, bean bags, wall stickers & cookware. 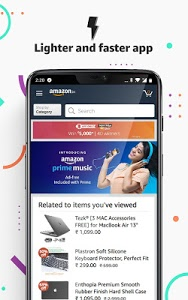 Shop from Amazon Fashion for all occasions – Formal attire, vacation wear to casual and daily wear – shirts for men, sarees & gowns for women, watches and jewelry to match and shoes & footwear to boot. 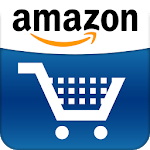 Also, the kids range of clothes, footwear, toys - from remote control cars, to bicycles, skateboards and school supplies –bags, bottles & more. Download the Amazon India Shopping App for free, from Google Play Store & enjoy online shopping like never before. 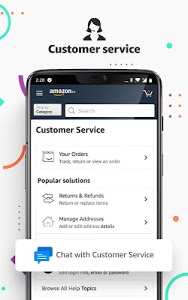 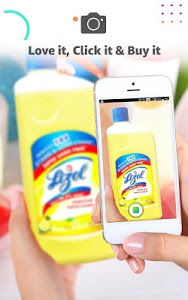 Similar to "Amazon India Online Shopping"